I packed everything I could think of that would entertain a toddler for a three hour plane ride sitting squeezed in the tiny space between her parents. Unfortunately toddlers are just that...toddlers, and no amount of entertainment can make them happy sitting in one place for three hours. So with an hour left on our flight to Dallas Scarlett looked at her daddy and proclaimed three dreaded words, "all done plane". This is when we brought out the big guns...Yo Gabba Gabba via a borrowed Ipad. The night before I ran around the house like a crazy person trying to find a way to upload the whole season 2 of Yo Gabba Gabba on my moms Ipad faster than it was currently uploading...four hours of uploading per episode...not going to do the job. At this rate we would only have three episodes and lets be honest, I did not want to watch the same three episodes for three hours. Thankfully I woke up in the morning and a miracle happened over night, the whole season was there ready for Scarlett's T.V. overload to begin. 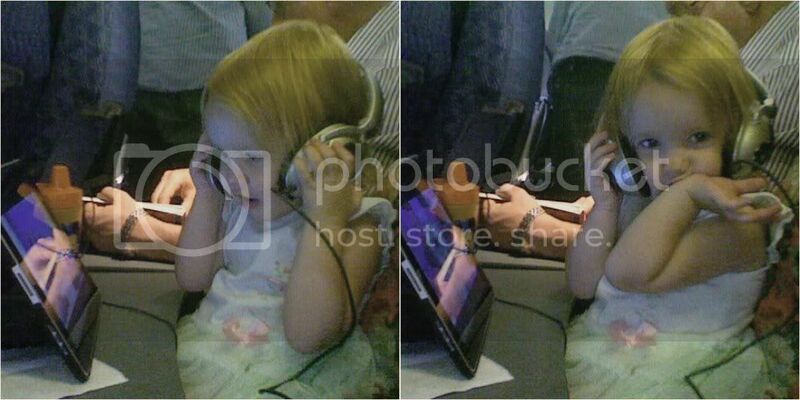 Yet, in true toddler fashion, it turned out two episodes was enough for Scarlett and she was ready to move on to better things, like focusing on her previous disposition of "all done plane". 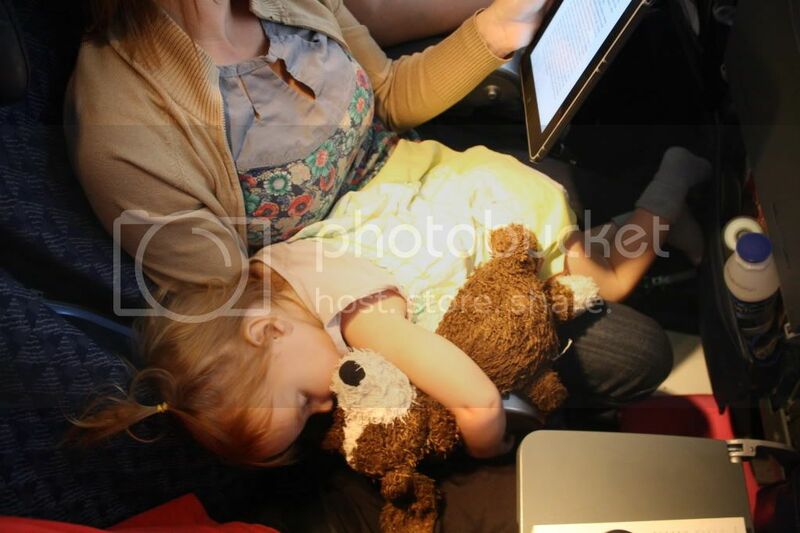 Chris quickly scooped Scarlett up, talked her through the rest of the flight and we touched down in Dallas without a break down to our name. Honestly I couldn't have asked for Scarlett to be any more well behaved. Although she was antsy at moments, she loved looking out the window at the tiny landscape and was able to keep herself occupied with the details of the entire "ride" (she called it a "plane ride"). She spent twenty minutes lifting the window shade up and down, smiling and laughing at the world below her, and another twenty pulling the emergency card and in-flight magazines from the pocket in front of her and promptly placing them back again. Flying with her was less frightening than I imagined and slightly more wonderful...especially when on the way home she looked like this...THE ENTIRE TIME!!! I absolutely love the first and last picture...so sweet.